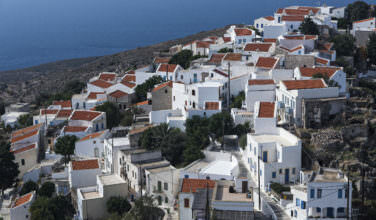 If you are looking for a resort community, Paleokastritsa is the place to be! During peak tourist season, this is where people tend to flock, and with good reason. It is completely gorgeous and has excellent views of the sea! When beachside enjoyment is high on your priority list, this is definitely the place to be. There are plenty of worthwhile properties here to base your stay on. There are also tons of restaurant, shopping opportunities, and nightlife options in the surrounding area that will make your stay here even more enjoyable. Located 19 kilometers away from Corfu Town, this beach is an excellent alternative to Paleokastritsa because it doesn’t get as busy. It’s the ideal spot for those who don’t want a secluded beach but also don’t want to be overwhelmed by large crowds. This beach is a happy medium. It is a sandy beach that is surrounded by some pretty rock formations and is also family friendly. 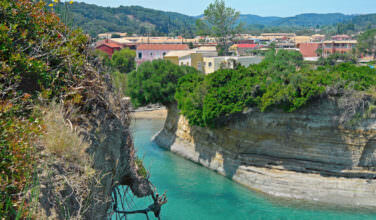 This is another one of those popular beaches that is located close to Corfu Town. 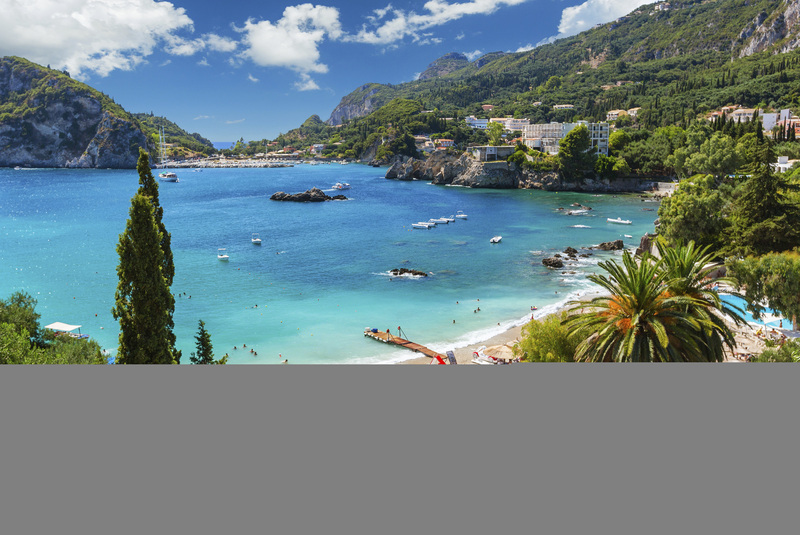 At just 16 kilometers away, that makes it an excellent option for those who want to get away from the crowds in Corfu Town to enjoy the beach. This sandy beach gives the impression of being more secluded than it actually is because it is surrounded by hills. However, it is also a popular beach that can draw hefty crowds during the peak tourist season. In order to find a beach that isn’t as crowded as some of the others, you will need to travel further away from Corfu Town. Sidari Canal d Amour is one of the prettiest beaches in all of Corfu, but it takes a little bit more effort to get there. Located in the northern side of the island, it is well worth the trip because it is one of the most picturesque beaches on the island. This beach is also located far away enough from Corfu Town to make it less crowded, which is especially good during peak season. Located in the southernmost part of the island, this is a great beach for people looking to relax as well as those who love outdoor sports, such as windsurfing. You can easily spend the day here relaxing in the golden sand and splashing in the gorgeous blue waters. Some of these beaches do experience large crowds during the summer. If you would like to avoid the crowds, consider traveling to Greece in May, September, and October. The weather is still nice but the resort areas aren’t as crowded as they are in peak summer.